I spent time in the yard today taking pictures for the Changing Seasons monthly photo challenge. 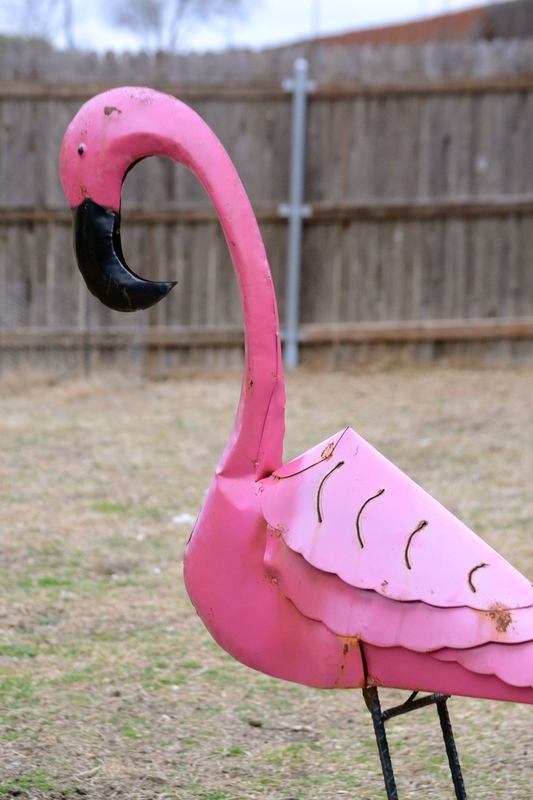 I took several pictures of our metal pink flamingo…yes we are those kind of people. Tina and I actually realized how well suited we were for each other when our first Christmas rolled around and we both had the same pink flamingo with a santa hat for one of our Christmas decorations! This entry was posted in Uncategorized and tagged 365 photos, pink flamingo on February 17, 2015 by treerabold. LOL! It seems my flamingo may have a history I didn’t know about! I will look for it!! Yes there is a little metal dog and a frog!! I tend to be a bit quirky!! Those flamingos will do it every time. Yes!! I would love that!! !